The importance of preserving online anonymity and safety is not to be underestimated. That is why it is crucial to make sure you choose a VPN service that can protect you at all times. IVPN and Buffered VPN have both proved to be highly reliable, but these services differ in several ways. Our IVPN VS Buffered VPN comparison captures these subtle differences and lets you know which of these VPNs delivers a more well-rounded service. Buffered VPN offers privacy, security, and anonymity at a reasonable price. This VPN has excellent speeds and high reliability, which makes it a great choice for anyone looking for VPN services that are way beyond average. Dishonest policy regarding 20 day trial. If you use the service for more than 10 hours no refund is issued. They should be honest and call it a 10 hour trial. Instant setup, yeah right! It takes ages! But once you go through five consecutive nervous breakdowns and somehow make it work it becomes like a loyal pet and does everything you ask it to. Really good vpn, works properly in the US and even better in Europe, in my opinion. But it’s quite expensive and there isn’t even a free trial, so maybe you should work on that. Buffered is excellent if you ask me. It’s fast, I can use it on almost any device I can think of and it rarely drops out. However, people can’t know that before trying it out and it’s not really cool that there’s no free trial, not even for a day. 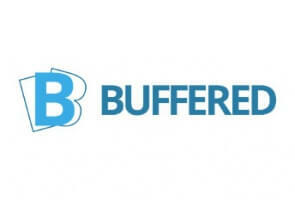 Although it is a relative newcomer to the VPN industry, Buffered VPN has a solid customer base and impressive feedback. They provide a lot in terms of performance, security, and server speeds.